Creating a Cozy Atmosphere. While it may be cold outside during the winter holidays, there are still many guests who enjoy taking some time outdoors on the patio. Create a cozy and inviting atmosphere by utilizing a heat source. There are several great options that will not only keep the temperature warmer, but also serve as a decorative feature and focal point. 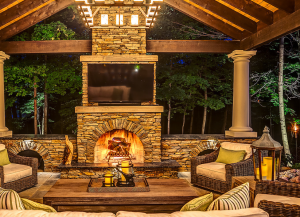 You can use a simple fire pit, install an attractive outdoor fireplace, or even use a sleek heat lamp. Leave some warm fleece and flannel blankets around on seats so that guests can grab one and warm up. Warm Drinks and Hearty Dishes. Food and drinks for an outdoor gathering in the winter should be warm and hearty. 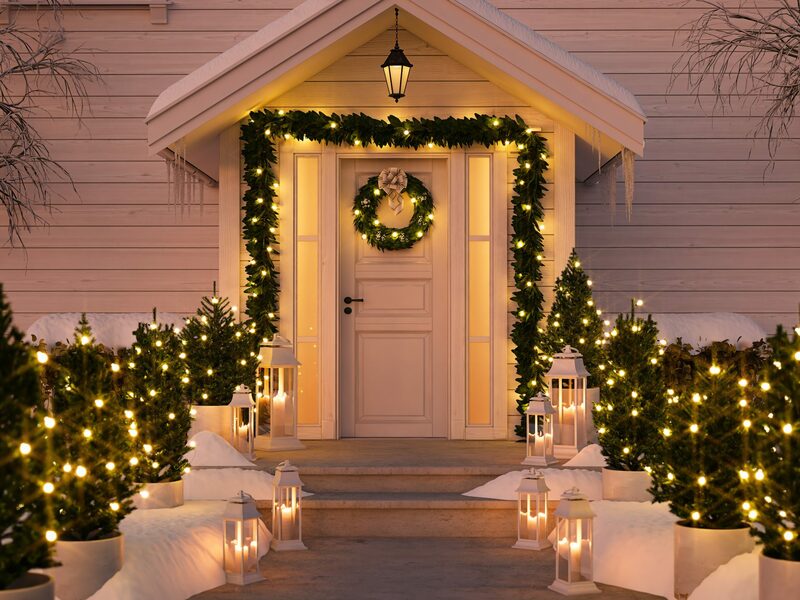 Not only should they fill guests up, but they should help to keep them warm. Set up a small bar with liquors like whiskey and Irish cream. You can also set out labeled thermoses with hot chocolate and coffee. For food options, stick to soups, chili, and cheese and chocolate fondues. If you have a fire pit or fireplace lit, be sure to have marshmallows, graham crackers, and chocolate so that guests can make s’mores. Maintaining The Landscaping In The Winter. One of the nice things about the winter season is that you don’t have to spend a lot of time tending to your property’s landscaping. The colder temperatures give you the chance to take a break from mowing the lawn, but you still want to maintain the overall look and quality of your property. Don’t completely ignore the landscaping, but rather, add plant life that will bring the right colors and textures to the season. 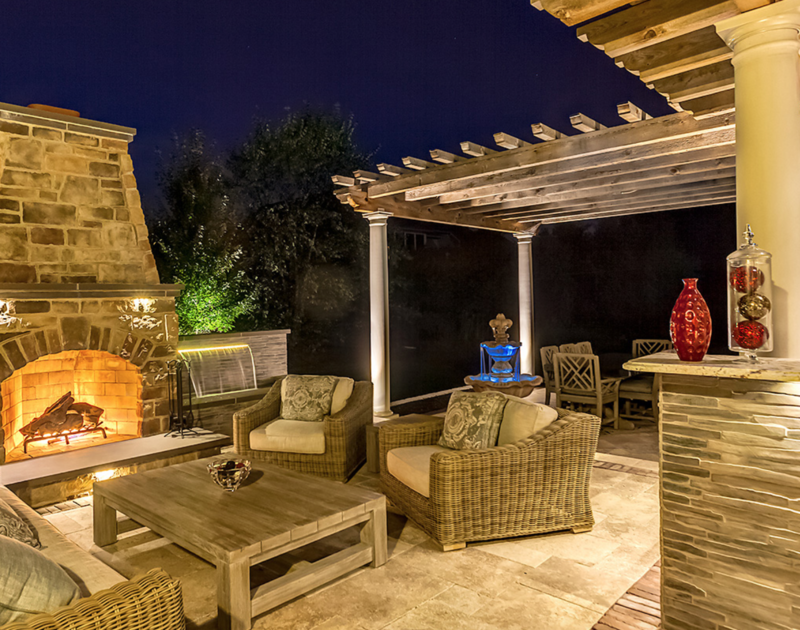 It will help add charm to your patio area and add beauty. 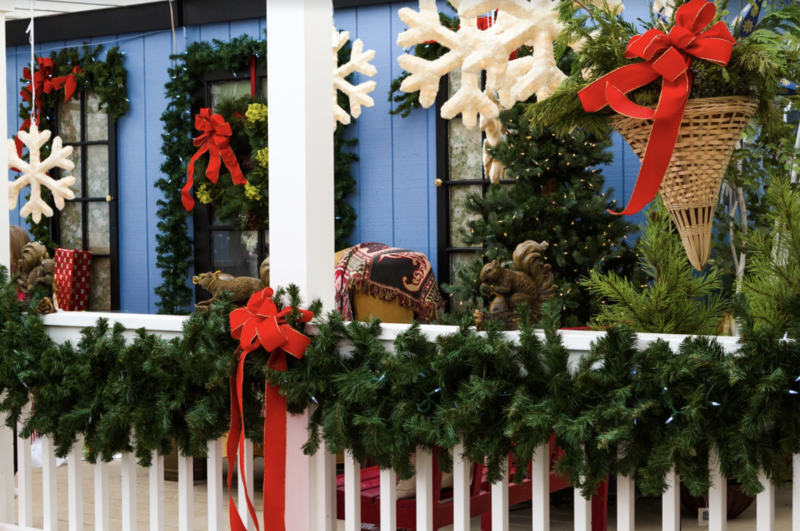 Throwing holiday parties on the patio allows your guests to enjoy the beauty of the outdoors. By focusing on their comfort, you can create a cozy and inviting atmosphere.